I find the Jewish Indigeneity Question fascinating. 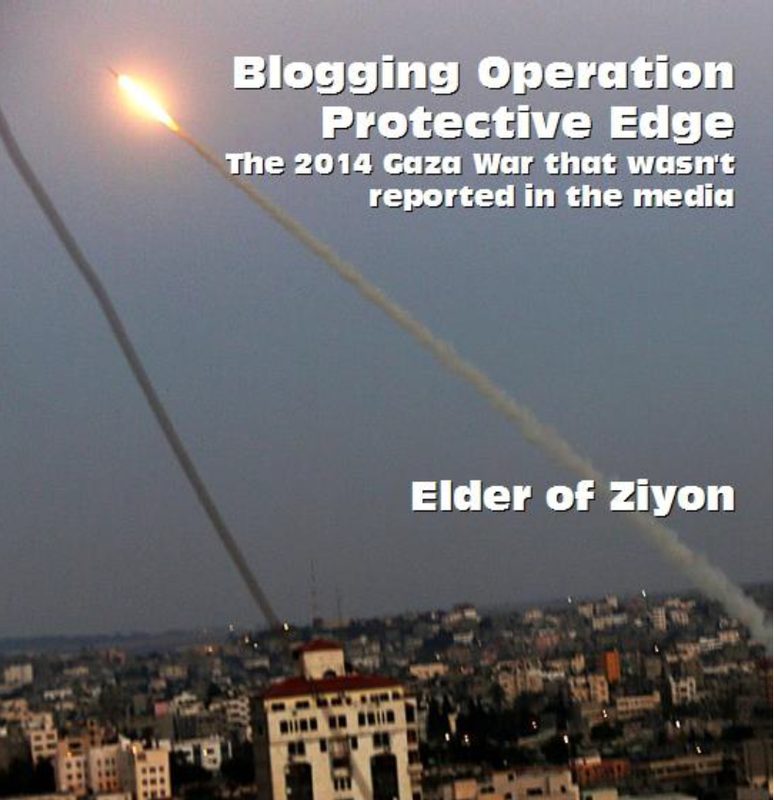 I recently published an article thanking native American thinker and activist, Ryan Bellerose for advancing the importance of Israel to the Jewish people from an indigenous rights perspective. Sarah Tuttle-Singer is the New Media editor for the Times of Israel (TOI) and is no fan of Bellerose and Bellerose is no fan of Tuttle-Singer. I happen to be - for the moment at least - friendly with both. Tuttle-Singer recently made Aliyah from Los Angeles and is now raising two children in the Old City. She has taken some pretty terrific photographs from around Jerusalem and seems to have thrown herself into the wilds of Israel with great joyousness. 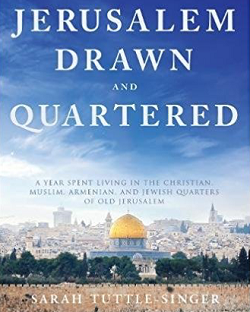 She is also the author of the recently published book, Jerusalem, Drawn and Quartered: A Year Spent Living in the Christian, Muslim, Armenian, and Jewish Quarters of Old Jerusalem. This last Sunday, March 11, Tuttle-Singer, in a Facebook post, linked to her recent piece entitled, On Passover, I’ll pour out wine for Mahmoud, too. It is an interesting piece. Leila doesn’t speak any Hebrew, but Fadi can but he won’t. What troubles me is that this does not trouble Tuttle-Singer. We do. And over the years of living here in Israel, I’ve learned when it’s ok to shake hands and when it isn’t. As a New Yorker and a Californian, I am happy to say that I have never learned any such thing. As a liberal, I do not condescend to such prejudices. Well, thankfully, history as a field of knowledge does not deal in personal truths. There is no "our truth" or "it is true for me." Sarah responded with an elegant, "Really?" History as a field of knowledge resides at the crux of the Humanities and the Social Sciences and is, thus by necessity, interpretive. This is why there is always a significant element of subjectivity within even the most scrupulously professional historical narratives. Nonetheless, for a narrative to be a historical narrative it must be grounded in something that closely resembles the truth of the past. 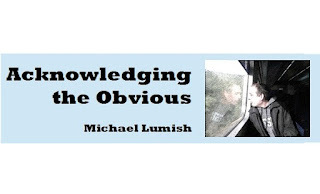 We do not simply get to make up our own "narratives" as the Palestinian-Arab leadership has done, and then insist that ahistorical nonsense be taken seriously. No field of knowledge works in such a manner because the lights would not go on and the aeroplanes would never fly. For example, I cannot claim that Richard Nixon was the President of the United States during World War II and then demand that people respect my narrative. People can say whatever they want, but we are under no obligation to take poisonous nonsense seriously and we shouldn't. In response, Tuttle-Singer claimed, "narrative can determine whether there is peace or whether there isn't." I get her point, I suppose, but I must wonder what kind of stable and lasting peace can the Jewish people hope for if that peace is grounded in falsehoods that erase Jewish history? Furthermore, the notion that the Jewish people stole the land from the "indigenous" Arab population is so obviously false as to hardly need refutation. Part of what made this online exchange interesting, however, was that a gentleman with significant historical credentials took the lead on Tuttle-Singer's side of the discussion. He reminded me that the winners write the history books - which, by the way, is no longer the case in the West - and that all history is told from personal perspectives and ideological perspectives and that "Jewish history is a perfect example for a mix of historical fact - and religious-infused fiction." Does any group of people have a greater claim to indigeneity to the land between the River and the Sea than do the Jewish people? I never participated in the silly game of "who was here first?" and "who was here longer?" Because - independent of who plays it - at its core, it is never an attempt to prove one's own roots in this soil. It is always an attempt to prove that the "other" has less rights, less roots, should be ignored, needs to leave - or at least accept the rule of his adversary. The same applies to the even sillier game of "whose side can claim to be a real people and whose side is an invented people." What is the desired end-result of these debates? That Mohammed, whose family has been living here for 500 or 1000 years, gets the idea that Jews had a temple around 2000 years ago - and another one before that - and that he and his fellow Palestinians agree that they are not really Palestinians, hand you the keys to the Temple Mount and proceed to pack their bags and leave these parts? What is it for the other side? That David, whose family has been dreaming of returning to the Holy Land for 2000 years will agree that he is not really Jewish, but a colonizing occupier, that his rights here have expired long ago - and then proceed to move back wherever his parents of grandparents came from? Honestly, it is depressingly sad to see so many intelligent minds, who could spend their time improving this country that has so many other problems - wasting it on these decade-old silly debates and attempts to win an argument. The simple fact is that both sides feel a deep connection to this land and both sides have a right to feel it. So all those intelligent minds should get busy and develop concepts for peaceful coexistence. Those who do - and there are people here who have worked on that for decades despite all the frustrations - have my respect. The others - well - I (and I think Sarah does the same) am trying to convince them to stop being part of the problem - and become part of the solution. Indigeneity, of course, is not about "the silly game of 'who was here first?'" Indigeneity refers to the roots of a culture and the people who comprise that culture in all of its branches... even including New York Jews who live in California. The Jewish people are the indigenous people to the Land of Israel because that is the place where our ancestors forged the beginnings of a multivariant culture and cultivated the Hebrew language and the Jewish religion and those other aspects that bring us together as one. What is the desired end-result of these debates? The desired result cannot be to convince Arabs that they should respect Israel as the indigenous homeland of the Jewish people. I agree, that this is simply not going to happen... history or no history, because the "Palestinian narrative" will not permit. However, we can stop equivocating in the face of the enemies of the Jewish people, and their congresses and parliaments and advocates, yes, even restauranteurs. 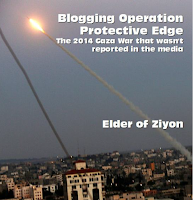 The truth, of course, is that the "Palestinian narrative" of pristine victimhood is nonsense. 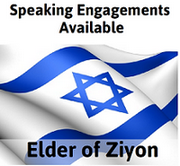 The Jewish people are a people who remain under siege within the very home of our ancestry. What we can do is bang that truth into the skulls of the European Union, the United Nations, the Democratic Party, and, at long last, the US Department of State. Until we stand up for ourselves, no one else is going to do so.